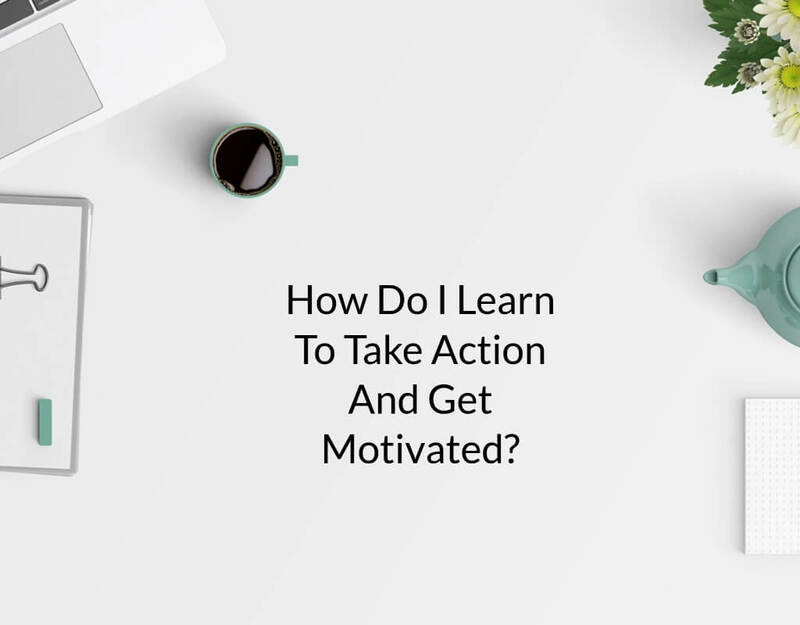 How Do I Learn To Take Action And Get Motivated? You have identified your targets, broken them down into smaller tasks and prioritized them. You know what you need to do and when, and you know when you should get started. Yet, you seem incapable of actually bringing yourself to work, it feels impossible to take action. What can you do to finally tackle your tasks for the day? In this post, I will go through the strategies I find useful to avoid action freezing. I asked my wife Jeney to help me with this specific topic. She is a biological physicist and provided me with practical tips and insights that come from her different experience but that anyone can apply. It seems straightforward – you should put first things first. Yet, we are all guilty of forgetting this from time to time. Productive procrastination is a sneaky way that makes us feel productive sometimes because we are still somehow getting things done. Examples of this are things like: cleaning post-it notes off our desk, reorganizing our desktop, ordering new supplies, even doing the dishes … they all need to be done eventually, but by carrying them out before more pressing tasks we are just pushing off the real work. There are two strategies to avoid this. I suggest trying both and seeing which one works better for yourself. The first is, pick any small business-related task and start from there. The order doesn’t really matter, as long as it is in your list for the day and easy to complete. It will push you into action, and the rest will follow because of the snowball effect caused by taking action and finishing a task. The opposite philosophy is that you choose instead the most challenging task to start from. A whole book was written on this technique, and the title is revealing: “Eat The Frog”. The idea is to face your toughest, most intense work when your mind is fresh and you are most productive. The rest of the day will run quickly and feel easier. Your mileage may vary! There are other tricks you can use to push yourself into action. One, that is applicable both on a daily and longer-term basis, is to hold yourself accountable. You can do this by sharing your productivity goals with others. 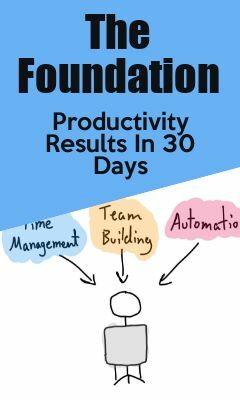 It doesn’t have to be your 90-day plan, this works just as well for smaller daily tasks. For example, if you tell your partner that you will do the dishes today, they will expect you to keep your promise and you will be more motivated to complete the chore you set for yourself. Another way of creating responsibility is setting deadlines for yourself. By establishing that you will carry out something by a certain time or day, you are more likely to start working. Even if you don’t meet the deadline exactly as expected, you will have overcome inactivity and procrastination. Use this if you work better under deadlines – make sure you know whether or not you like this type of stress. You can also promote extra motivation with a reward system. At times, the reward of leaving work once you have finished the job will be enough. But sometimes you can take an extra step and promise yourself whatever you consider small rewards – a night at the movies, a massage, or some chocolate. The most important thing you have to do is figuring out what works for you. You can try both strategies – the small tasks and the Eat The Frog technique – and see what gets you better results. Knowing what time of the day is most productive for you is also important. Most people are faster and most focused in the morning, and that is when they tackle the most challenging activities. But you may find out that you work best after lunch or in the evening, and can then proceed to plan your tasks accordingly. If you feel frozen, being honest with yourself is crucial. Chances are, there is an underlying reason why you can’t push yourself into action. Take some time to think about it, maybe write down all the possible answers until you figure out what the problem is and how to solve it. It could be as simple as the fact that you are working at the worst possible time of the day for you. Hopefully, after reading this you will have a few ideas and strategies you want to try as part of your new action plan. « What’s One Thing You Always Procrastinate On?